Not far from the beautiful beaches of Rio there is town called Petropolis, about 70 kms north of Rio. It was once the summer capital of Brazil, today it’s a great place for Whitewater rafting, walking and cycling in the beautiful surrounding hills. If travellers continue a little further north into the next state of Minas Gerais they will find themselves in the state that produces gold and also 95% of all of Brazil gemstones. This state is also famous for some lovely colonial villages and towns that are worth a 10 to 15-day itinerary. If you have clients interested in architecture old and new, this is the area. Rio has some famous buildings designed by Oscar Niemeyer. Clients then can continue visiting the towns of Ouro Preto, Sabara, Mariana, and Congonhas. This can be done as an inclusive tour from Belo Horizonte, or it can also be a self-drive itinerary. The colonial architecture combined with the history is also a great itinerary for gift shopping (gold and gem stones!). The Brazilian history can be told through the many winding streets, the baroque style houses, erected on the hills, the vast number of churches that house paintings and sculptures of famous artists like Aleijadinho. A few of these towns are now declared as cultural Heritage of Mankind by the UNESCO. The region is great to visit all year round as there are many festivals with dances, theatre, music and films; and of course, museums! Suggest as well to try the local cuisine, a must is a “feijoada”, yum! 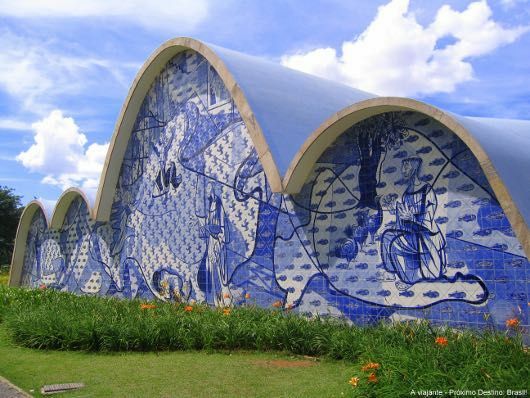 If you have a client very interested in architecture, we can design the tour starting in Brasilia to see the buildings designed by Niemeyer, a short flight to Belo Horizonte, getting around through colonial towns by car to finish up in Rio with more amazing structures and some well-deserved break to relax by Ipanema Beach.